If you live within the territorial limits of the Union of India, it is very likely that you were unaware of two important red-letter days in late March. You are not alone. Bhagat Singh was executed on March 23, 1931 and Shurjo Sen was born on March 22, 1894. Governments that utilise half a chance to put full-page ads and billboards with various fathers, mothers, and other demigods of the nation silently let those dates pass. For dwelling too much on these characters can create doubts in the minds of subjects brought up on a steady dose of “swaraj” via Congress mid-wived ahimsa. The anti-colonial struggle (even keeping aside other kinds of contemporaneous struggles for the moment) might start taking many more hues beyond the tri-colour. Hue-expansion is not easy, especially after more than 60 years of mythification. Myths solidify in time, memories that contest those myths fade. In a nation-state that has successfully been able to portray violence that is not sanctioned by the state as intrinsically evil, the role of violence being a constitutive part of the anti-colonial struggle (the good fight) might give such kind of oppositional forms legitimacy if not legality. All the more reason, certain characters will go unsung or passed over. 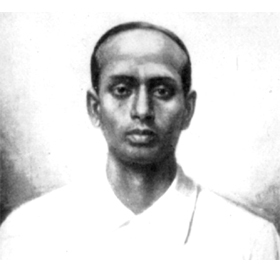 Just for the record, Shurjo Sen, a school-teacher in Chittagong and a non-Gandhi type of Congressite, was a Bengali anti-colonial revolutionary who led his group of fellow-revolutionaries to raid the British armoury in Chittagong. A huge British retaliation holed up his band in the Jalalabad hills, where most of his compatriots were martyred. He was caught after being in disguise through various safe-house networks. Tortured by having his teeth broken by a hammer, nails pulled out, and limbs and joints broken, his unconscious body was hanged. So electric was the potential of his remains that his body was thrown in an unknown location in the Bay of Bengal. From freedom seeking revolutionary school-masters to millionaire fundamentalist demagogues, the forces of the West have always feared the power of a dead body among coloured people. 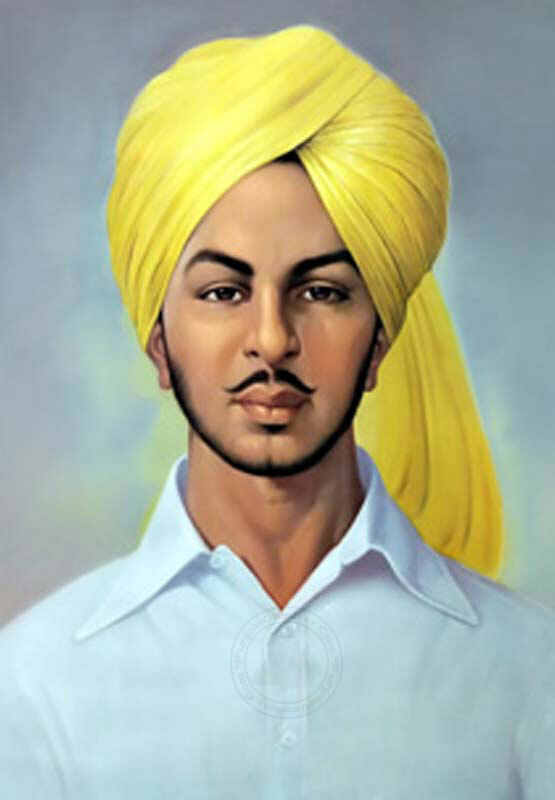 Bhagat Singh is arguably the most popular revolutionary in Punjab and the upper and middle Gangetic plains of the subcontinent in the late 1920s and early 1930s. His stature remains unblemished today, inspite of the extended posthumous murder scheme by a combination of neglect and lip-service — something that the Indian Union is adept at. Bhagat Singh was associated with the murder of the cruel British police officer Saunders, to avenge Lala Lajpat Rai’s death by police beatings. Bhagat Singh and his compatriot Batukeshwar Dutta threw bombs (with no intention to kill and no one was killed either) and leaflets inside the Central Legislative Assembly, and courted arrest shouting “Inquilab Zindabad” (Long live, Revolution). He was a member of the Hindustan Socialist Republican Association. He was executed by the British government and their brown collaborators in the form of Lahore jail authorities and personnel. The end after the end was strikingly similar to Masterda Shurjo Sen’s. Jail authorities secretly broke the rear wall of their own jail (Bhagat Singh’s supporters kept vigil at the front), cremated him and his other executed comrades near village Ganda Singh Wala (Kasur, West Punjab) and threw all remains and ashes into the mighty Sutlej so that the great martyr disappears without a trace. He hasn’t and for that the people are responsible, not their government. In today’s Lahore, few want Bhagat Singh. In post-partition India, few beyond West Bengal (and there too, a dwindling tribe) remember Shurjo Sen. Such is the fate of the selfless and childless types. There is one thing common among the people the state wants us to forget. They don’t have children and grandchildren sitting in the parliament. But keeping alive certain fat cats’ ancestors’ names is not anyone’s duty as a citizen, is it? The nation-states in the subcontinent provides a long afterlife to such ancestors. The Indian Union also fancies itself as the “successor” to all things sub-continental. It is true that this successor status is partly due to the overtly sectarian “national-culture” idiom in the successor states of the Republic of Pakistan. Its all good to appropriate the dead — they don’t physically spit back. Masterda Shurjo Sen’s armed insurrection against the colonial occupation in Chittagong and myriad such events, ideas, conceptions, ownerships, get projected exclusively, onto the post-partition Indian Union. This has given rise to a misshapen, smug, and imperial vision of one’s past. Shurjo Sen punctures this fancy. He remains palpably alive in East Bengal than anywhere else. Even in the recent protests at Shahbag, lakhs raised slogans in his name. “Shurjo Sen-er banglaye, jamaat-shibirer thhai nai.” (No place for Jamaat-Shibir in Shurjo Sen’s Bengal). While such chanting is tactical (no such “Hindu” name in the post-47 stars of that nation-state), that such a tactic is even possible points to a different kind of political idiom and remembrance. No such mass currency of his name in West Bengal, let alone the Indian Union. In the Indian Union, many viewers of the two recent Shurjo Sen movies (Chittagong and Khele Hum Ji Jan Se) came to know of him for the first time through the movies. The language of both films is Hindi. The Indian Union has never had jurisdiction over the area where the actual events and the film-plots are largely set. Bollywood has taken this location without its people and has managed to mangle it, to make it palatable and understandable to a Hindi-understanding audience. Shurjo Sen and his compatriots largely spoke Bengali and Chittagonian. Shurjo Sen and Chittagong can be packaged with technological finesse. The past is always better suited for appropriation. Hence Shurjo Sen, the “Indian,” can be sold — distinct and divorced from the contemporary “Bangladeshi” backdrop of illegals and border-killings. Of Shurjo Sen being a “Bangladeshi” in the post-71 nation-state sense is also dubious, but at least it is a complicated appropriation — partly reflecting the lines of fissure of that polity. Nation-states are the worst possible short-hand for identities, or for anything that humanity holds sacred. However, not everything can be packaged like this. For example, to make a Hindi film on Chawngbawia, a legendary hero of the Mizo people or a romantic drama set in a Naga village with Naga characters, will be dismissed as absurd. Shurjo Sen talking to his comrades in Hindi is also absurd — but it can pass off. The Naga or the Mizo does not. It cannot be mere coincidence that most of the areas where infamous kala ain Armed Forces Special Powers Act (AFSPA) is in force are also those whose heroes are deemed unfit for appropriation and marketing “nationally,” whatever that means. So there is a geography Bollywood has conceived, of what is “ours,” what is partly like “ours,” and what is very unlike “ours.” Though not spelt out, these conceptions need to be taken seriously. For people kill and occasionally get killed with such conceptions in mind. Who is remembered and who is not, has to do with who has held the power to shape our textbooks and “common sense” and who didn’t. Most official heroes now have well-heeled scions staying in what is what yuppies increasingly call the NCR (National Capital Region). Albert Einstein said that “common sense” is a collection of prejudices acquired by age eighteen. The questions to ask are: How did we acquire our conceptions of the past? From whom? Is there a pattern in the things we have been told? Are there other stories to be told? Why were they not told? What is the connection between the ownership of the machinery and infrastructure of story-telling and the nature of our “common sense”? Could there be other senses, as “common,” for people beyond the pale of propaganda? Do they have lesser rights to voice their opinions? Why so? Because they can be put behind bars, or worse still, never heard of again? In short, do we have any understanding of our past (and present) that does not, in the final analysis, derive its “legitimacy” from “might is right” and “we are good”? Let us take the Bollywood make-up off Shurjo Sen. This has to go beyond the language issue. There is a need to contest the synergy of the Bollywood film industry and “cultural past” formation projects of the nation-state. Is there a film on Shurjo Sen made in post-71 Gonoprojatontri Bangladesh. If yes, what is the narrative? If not, why not — given the claim that the People’s Republic of Bangladesh is also “Shurjo Sener Bangla”? Let us study the silences of the textbooks, that pages that were excluded, the stories that were mis-told. We might be amazed and disturbed at we find. Adulthood, among other things, is the loss of simple heroes and self-affirming binaries. Unlearning common sense is painful — we build our conceptions of selfhood around them. But becoming adult humans, as opposed to being pupils of the state, is a necessity, to protect right from might.